All are welcome to join us in celebrating Christmas at The Summit on Sunday, December 9th at 10:45am. 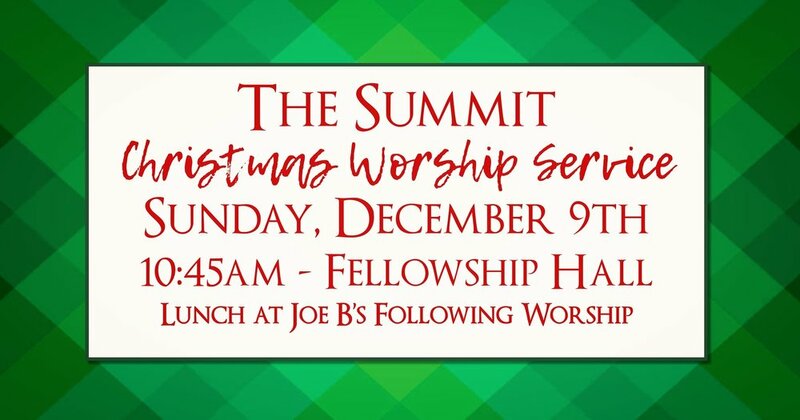 The Summit Christmas worship service is going to be special! Hank is preaching and we’ll have amazing music courtesy of the Rodes Ave Ramblers. Come meet our new College Minister, Niki Hays—she has so many great things planned for the year ahead! College students, you’re all invited to join us for a delicious Christmas lunch (our treat!) at Joe B.’s following worship. Bring a friend!